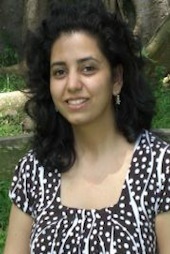 Ruchi Gupta is the author of The Curly Wurly Twins on the Beach. She is a mother of a pair of twins, Shreya and Raunak. She is also a freelance writer. Having completed her education in India and U.S.A., she has had several articles published in newspapers and magazines in Brunei and Singapore. Finding a lack of childrenâs books related to twins in the local Singapore market, Ruchi decided to venture into writing childrenâs books, drawing inspiration from her own twins. This is her first childrenâs book.